On the other hand, with used equipment buyers are also concerned about the risk of degradation due to previous wear and tear, malfunctions and failure, or the equipment failing to perform to advertised specifications. How do you manage such a risk? What makes a dish “good” versus simply purchasing a rusted piece of junk? In addition to the potential for speedier delivery, the cost of pre-owned equipment typically costs about 50 percent less than the pricing for brand new systems. The recent experience of Santander Teleport is one example of how buying used antennas can help save time and money, all the while managing risk. 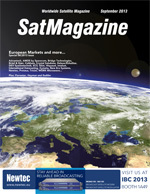 Santander Teleport offers commercial and government organizations access to C-and, Ku-and Secure X-band services from a single strategic location that covers all of the satellites in GEO orbit from 60 degrees West to 65 degrees East—that’s a region that is broad in beam, from Western Australia to North America, the Mediterranean Sea, as well as the Indian and Atlantic Oceans. Santander Teleport needed to acquire and rapidly install pre-owned uplink antennas and RF equipment in order to quickly support new antenna services. The company turned to New Era Systems, a leading provider of used Earth station equipment. According to Mónica Delgado, Technical Director for Santander Teleport, in Santander, Spain, “Many customers request services that need to be on air very quickly. If we do not have an antenna available, or if the RF equipment is not available in house, we normally contact the manufacturers. Sometimes, manufacturer delivery times for new antennas and RF equipment are too long to allow us to commit to our customers’ requested in-service dates. The delivery time for a new 9-meter antenna from the manufacturer can be three to four months,” she explains. “With pre-owned antennas from New Era Systems, we were are able to receive the antenna within a month and install it within 1.5 months, so normally we can get them up and running in less than three months. We have even put up pre-owned antennas within weeks,” says Delgado. Santander Teleport has purchased two large, 9 meter, antenna systems, as well as pre-owned RF equipment such as TWTAs from New Era Systems. Smart buyers such as Delgado say that the combination of choosing reliable suppliers and a thorough testing process can ensure used systems are satisfactory. Reputable pre-owned equipment providers will also conduct performance or compliance testing and share the results and equipment records before shipping out stock. How do you assess the risks in buying a used large antenna? While most buyers would prefer new antennas, frequently, the cost-savings opportunities and customer requirements can make the risk / reward ratio of purchasing a used antenna extremely worthwhile. When making a price comparison, it is advisable to include the costs for refurbishment and for the pre-testing that would not need to be performed with a new antenna. If the cost savings are beneficial, then the used antenna option should be considered. – Environmental Conditions: The specific structural and civil construction standards and conditions of your local site are important. 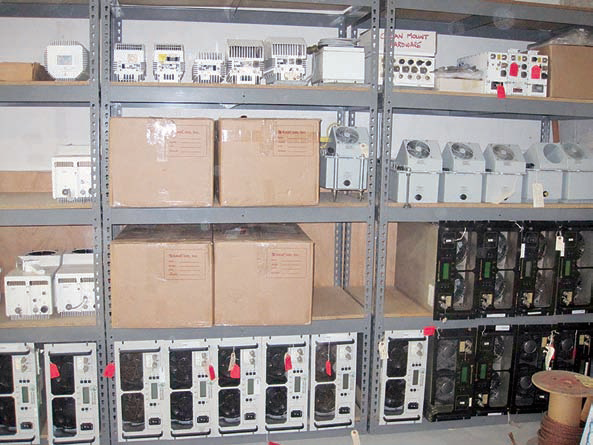 Stocked used transceivers and SSPAs. 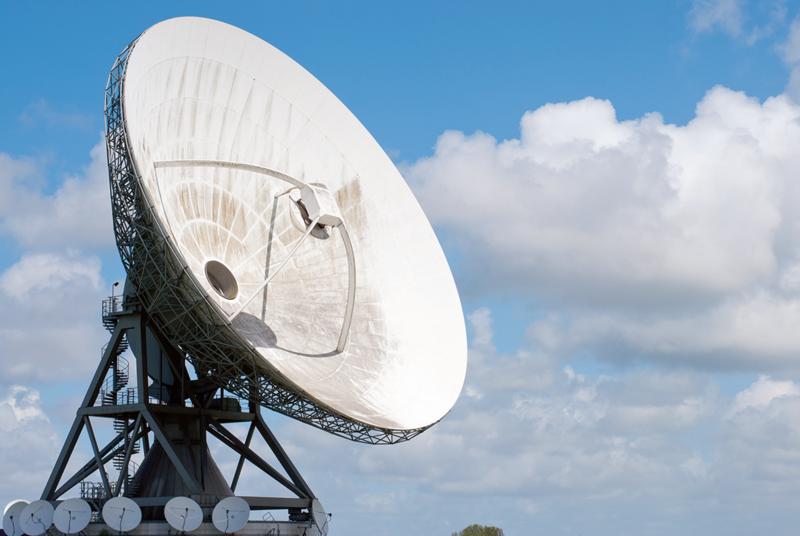 Humid, saline environments can place more stress on an antenna’s structural components. Paint thickness, galvanization of the structure to resist corrosion, both can be extremely important. – De-icing: In icy, snowy and rainy areas, de-icing systems may be required for continued operation. 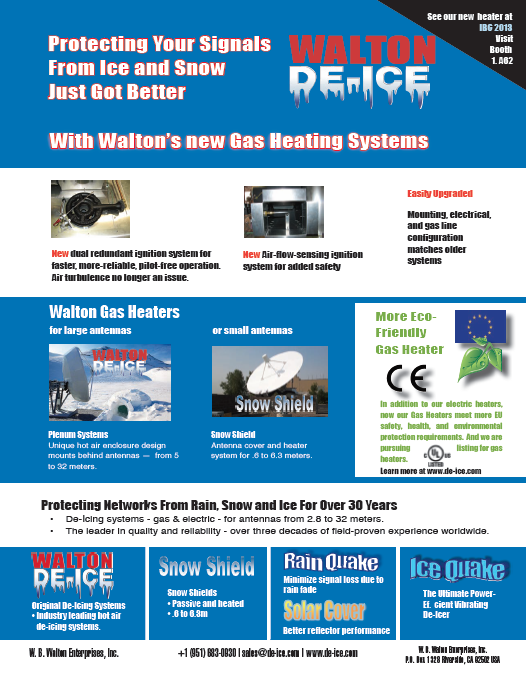 What is your de-icing system, or de-icing system options, and how will they work with your antenna? – Wind survival: Wind tolerances are also key specifications. In high-wind, hurricane and typhoon-prone regions, very high wind resistance is critical. In addition, for large systems, the foundation pad supporting the structure and bolting system to keep the antenna intact during wind are also crucial considerations. – Mechanical systems and motors: A key question with a used antenna is “Do the motors work mechanically, and with the control system?” The mechanical system reliability in your particular environment is important over the lifetime of the antenna. Test the motors to ensure they are in good working condition before they ship. The motor can be rusted from use, or lack of use, depending on the antenna’s original, local conditions. “We check the motor for AZ/EL (azimuth and elevation) and also the motor for polarization switching,” says New Era Systems’ Phil Thomas. A new motor may be required, but even with such a need, the speed of delivery and cost-savings with a used system can be considerable. Some buyers replace the motor/drive/tracking with new subsystems. Even with a new motor system, a pre-owned antenna is still typically much less costly than the purchase of a new antenna. – Hardware Kit: After antenna take-down, the de-installers should have collected buckets of nuts, bolts and washers that are to be sent with the antenna. Depending on the previous location of the antenna, its age and the climate, the hardware may be corroded, or in good condition. The items most subject to deterioration are the two rubber boots that protect the elevation and the azimuth screw jacks. “We typically replace anything that looks to be in poor condition, but with some clients that is not sufficient, and they order a completely new hardware kit,” says Thomas. “When necessary we replace the boots before shipping the antenna.” In some cases, a replacement hardware kit can be ordered from the original manufacturer and costs as much as $8,000 for large antenna systems. – Electronics: Big antennas can have outdoor systems, usually in a shell enclosure, e.g., the AZ/EL motor controls and polarization controls. Your supplier should test the controllers and guarantee they work as well, or a new controller will need to be added to the solution. – Test Patterns: Have your supplier make a full set of test patterns with the antenna prior to shutting it down. When the antenna is re-installed, a new set of patterns should be produced to compare the “before and after” patterns and to confirm that the antenna has been assembled correctly and will comply to all specs and needs. Installing a VSAT System, from left to right: Installer starts the assembly of an Andrew 4.5m antenna—the foundation for the base is excavated—the concrete for the base is poured. Photos courtesy of New Era Systems. – Shot-in or Bolt-Together? : Large transmit antenna reflectors typically come in one of two types—the “bolt-together” or the “shot-in” theodolite (a precision instrument that measures horizontal and vertical plane angles) variant. The bolt together is far easier to install, as the reflector panels bolt into pre-made holes in the radials. The shot-in has panels that rest on radials that have adjustment screws along their length—each screw must be adjusted to give each panel the exact curvature called for in the specifications. As antennas get larger, the exact shape of the reflector surface is critical. Typically, reflectors greater than 7 meters need to be “shot in.” This is a process where a theodolite is placed at the center of the antenna reflector. Then, markers are placed at exact locations on the reflector surface and the reflector surface is adjusted to the exact shape recommended by the manufacturer using the theodolite. Taking theodolite measurements is a time-consuming process and requires considerable technical skill and expertise. When performed by an original equipment manufacturer, it can incur a $20,000 bill. Another technique is a system called Photogrammetry (The determination, from photographic imagery, of an object’s geometric properties). – Civil Works, Pad and Foundation Kit: A foundation kit usually consists of a series of large bolts, matching nuts and a template to show the exact placement of the bolts in the concrete foundation. As the bolts can often be ordered directly from a local machine shop, some used antenna buyers choose to purchase their own foundation kit(s). In certain countries where hardware is not readily available, the buyer will ask suppliers to sell them a foundation kit for the antenna re-commissioning. – Packing and Shipping: Careless packing can ruin all of the careful work of take down and refurbishing a pre-owned antenna system. A king post can weigh as much as 10,000 pounds and can roll over and damage other antenna components if packed improperly in a shipping container. To avoid this, shipping containers need to be built out with wooden supports and shelves that will hold the components safely in place for transportation. High quality packing ensures that, in most cases, there is no damage to the antenna when in transit. “When we sell an antenna, the terms of payment are full cash price prior to shipment. The client’s price includes careful loading of the antenna into their custom-built shipping container. This is a crucial step in the overall sale,” says Thomas. “As we guarantee our products, we make every effort to ensure perfect condition prior to shipping. – Installation: Successful installation depends on the skills of the installers. The same care and accuracy required for a new installation must be followed with a pre-owned antenna, as well even if it only costs fifty percent of new price. Typically, installations require a crane, a man-lift, as well as skilled installer/technicians. If theodoliting is required, the installer will need to re-align all reflector panels and the sub reflector. – Pre-Install Prep: “When we send our team to handle antenna installation we expect that certain work has been completed in advance. For example most of the antennas are set on concrete pads with the bolts already in place. Conduit for AC voltage and signal cables needs to be run underground or if overhead waveguide trays are used they should already be in place,” says Thomas. – Satellite operator’s authorization: Satellite carriers require transmission tests that measure transmit parameters for side lobes, cross-pol, and other signal characteristics. After such testing on a satellite, the operator will record the patterns of the transmit antenna to accept or deny authorization to transmit. Assuming all civil works are done before arrival on site, it can typically take a week or so for the completion of acceptance testing. Not surprisingly, used Earth station antennas are not always trouble free. Torn boots, broken tracking receivers, and non-working electric motors, are just some common problems experienced when inspecting used equipment. It is clearly important to perform some due diligence on your potential supplier—it is good practice to ask your used satellite equipment suppliers what testing they perform and what guarantees they offer on the items they ship. “For us, New Era Systems is a good provider as we can rely on the quality of the products and we have confidence that the equipment they provide will be good quality. It is very important for us to have that confidence,” says Santander’s Delgado. When a savings of more than 50 percent is possible through the purchase of a used antenna, taking a quick look at your options with these products makes a great deal of sense. With something as specialized as large Earth station transmit antennas, your best bet for acquiring used systems is to work with an experienced, reputable supplier, one that follows test procedures, and one that provides delivery and performance assurances upon which you can rely. Dan Freyer is the principal of AdWavez Marketing (www.adwavez.com), an agency focused on providing marketing services to the satellite industry. He can be reached at dan@adwavez.com. 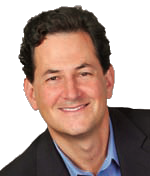 He has helped top satellite manufacturers, operators, service providers, equipment suppliers, and associations develop their businesses for over 20 years. 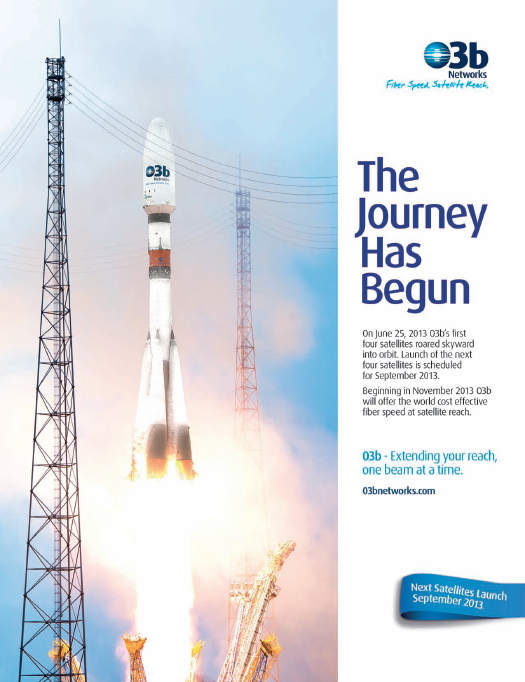 He is the author of Liftoff: Careers in Satellite, the World’s First and Most Successful Space Industry (SSPI 2010), a contributor to The Satellite Technology Guide to the 21st Century, among numerous other industry publications. • Cost-savings: used C- and Ku-band satellite uplink antenna systems can offer large capital savings (e.g. 50 percent-plus discount) compared to new units. • On top of the cost-savings, pre-owned systems can usually ship fast, and be installed in weeks, as compared to months for installation of new systems from original equipment manufacturers. testing, packaging and their delivery guarantees. • In addition to permanent services, pre-owned antennas can work for business cases including: temporary services, low-budget services, test and trial services, Occasional Use or ad-hoc services, disaster recovery systems, short-term contracts (i.e., 1-3 years). • What do you certify? • Who else has purchased systems from you? • What do you test and guarantee? • What will you replace if the system fails testing, and under what conditions? • There can be hidden faults in the dish. Performance can change after it is disassembled and moved and re-assembled. When possible, test the antenna at its first site to ensure you have benchmarks for performance before it is disassembled. • The ability to taking field measurements for compliance with specs requires special expertise. A manufacturer’s team or certified testing engineer/team with expertise in field measurements and the equipment may be the best choice, even if your staff has the engineering knowledge. • If you don’t have the available staff resources, then you need to go to outside consultants. Factor this into calculating your savings compared to purchasing a new system. • Evaluate the antenna performance mechanically (mount, steering, pointing, control), not just electrically (i.e., Cross-Pol Isolation, Port-to-Port Isolation, gain). • A transmit antenna must comply with satellite operator guidelines and regulatory limits. An acceptance test is standard for a new transmit antenna at most operators, and just as a new antenna’s feeds and performance are tested initially for factory acceptance and site acceptance, the testing needs to be performed on a used antenna. • Ensure you have acceptance testing requirements as part of your delivery contract. • Manufacturer extended warranty: Try to negotiate extended manufacturer warranties. One operator purchased a used transmit antenna and negotiated a series of extended manufacturer warranties from Andrew, in addition to pre- and post-relocation testing to ensure full specs were met. • If the system is being disassemble and moved, insist that the system be taken down by a qualified technician, previously certified to work on the brand of antenna being removed and packaged for shipment. • A new set of assembly hardware should be made available to reinstall the antenna, with a certified technician available for the reassembly.